Multnomah County Sheriff Mike Reese and the U.S. Immigration and Customs Enforcement agency, or ICE, have been pointing fingers at one another in the wake of the murder indictment of an immigrant who entered the country unlawfully. Martin Gallo-Gallardo was accused of murdering of his wife last month after police investigated the discovery of her body in a ditch. He'd already been indicted once for assaulting her in March but was released — for which both agencies are blaming the other. The public dispute comes even as Measure 105 is awaiting the outcome of the Nov. 6 election. The measure would repeal the sanctuary law that prohibits Oregon law enforcement from assisting in the enforcement of federal immigration law. Supporters of the law say it reduces racial profiling, spares local criminal agencies from expending resources enforcing civil immigration law and supports public safety by encouraging people in the U.S. unlawfully to trust local law enforcement with information about crime. Critics say the sanctuary endangers public safety and promotes confusion between agencies. On Nov. 1, ICE released a statement to an Oregon immigration activist, David Olen Cross, saying that Gallo-Gallardo, a Mexican citizen, unlawfully entered the United States, and that the federal agency had sought to civilly detain him in March after he was arrested. "The Multnomah County jail did not honor that detainer," the ICE spokesperson, Tanya Roman, wrote. Olen Cross, who tracks crimes by people in the state unlawfully, shares his information with media outlets including KXL, where he regularly goes on air. The news hit the conservative Daily Caller website later that morning, and has spread to other news outlets since. Later in the day, Multnomah County responded that it had received no detainer from the federal government, noting that under the state's sanctuary law and an earlier court ruling, it does not honor civil detainers unless accompanied by a warrant for their criminal arrest. The release also noted that local authorities were unable to prosecute him over the March incident because his wife would not cooperate. "ICE is putting our community at risk with their failed enforcement strategy of the not using the authority they already have to hold people accountable," said the sheriff's press release. "No Oregon jail can hold someone on a civil detainer based on federal court case Miranda Oliveras v. Clackamas County. The U.S. Attorney's Office knows this, ICE know this, but they persist in pursuing this failed strategy. Federal officials had ample time to do their job. They had his name, address, and telephone number." "It is disingenuous to make this claim when they failed to follow the process for even entering the civil detainer information into any law enforcement database. MCSO wants to make clear that we did not receive any information from ICE regarding this individual." "ICE maintains that cooperation by local law enforcement is an indispensable component of promoting public safety. Gallo-Gallardo is a citizen of Mexico who has been previously apprehended by the Border Patrol multiple times unlawfully entering the United States. U.S. Immigration and Customs Enforcement (ICE) placed an immigration detainer on Gallo-Gallardo on March 6, following his arrest for Felony Assault 4th degree. 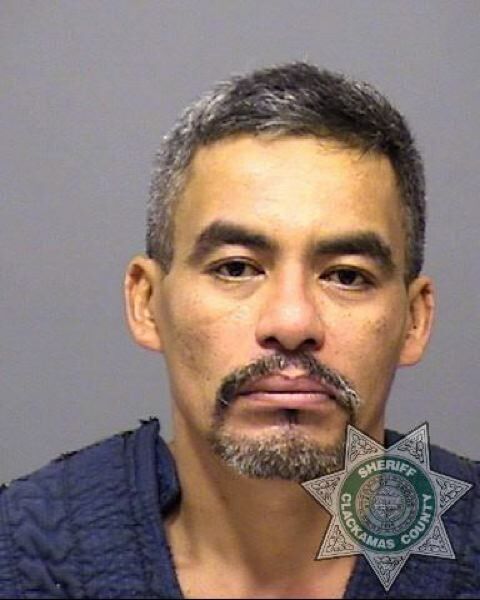 The Multnomah County Jail did not honor that detainer and Gallo-Gallardo was released on bond on March 8. "The fact is, ICE placed an immigration detainer on Gallo-Gallardo on March 6, following his arrest for Felony Assault 4th degree. The detainer specifically requested notification of Gallo-Gallardo's release. Under current Oregon law, Multnomah County does not honor detainers in any way. The jail did not contact ICE to provide advance notification of Gallo-Gallardo's release, which is something routinely done by other counties. Because the detainer request was ignored, Gallo-Gallardo was released on bond on March 8. "In addition to false claims that ICE never filed a detainer, the county's statement on this matter ignores the fact that there is no mechanism for a judge to issue a criminal warrant for an administrative immigration arrest. Oregon's sanctuary policies fail to recognize federally established processes for the enforcement of immigration law, and they do so at the expense of the safety of their citizens." A Multnomah sheriff's spokesman told the Portland Tribune that there were "readability problems" with the detainer that the federal government had faxed, but confirmed it would not have been honored without an arrest warrant.